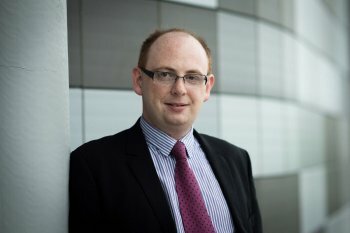 A University of Ulster academic is set to shape the future of computer assisted language learning. Dr David Barr, Head of the School of Modern Languages, has been appointed as one of only seven international experts to sit on the WorldCALL Steering Committee. WorldCALL is the global professional association for teachers of computer assisted language learning, and Dr Barr will have responsibility for informing and shaping policy in computer assisted language learning across the globe. The prestigious appointment was announced at the WorldCALL conference, organised by Ulster’s School of Modern Languages and hosted at the Scottish Exhibition and Conference Centre (SECC) in Glasgow, earlier this month. The conference, which brought together Computer Assisted Language Learning educators from five continents, was opened by the Vice Chancellor, Professor Richard Barnett alongside Chair of WorldCALL, Professor Mike Levy and Deputy Lord Provost of Glasgow City Council, Bailie Hanif Raja. It was the first time that the worldwide organisation has held its conference in Europe, which takes place every five years and has previously been held in Tokyo, Banff and Melbourne. He added: “The WorldCALL conference has been a major success for the School of Modern Languages at Ulster with over 300 delegates from 42 countries attending over the course of three days. “As a result of sponsorship from the University, we were also able to provide scholarship bursaries for thirteen language lecturers from Argentina, Belarus, Brasil, Colombia, Egypt, Ethiopia, India, Indonesia, Iran, Russia, Rwanda, Sri Lanka, Turkey and Venezuela to attend the conference. “The funding allowed these delegates from under-served regions of the world to network with the world’s leading academics in the area and to learn about effective pedagogical practices for teaching languages. For further details of WorldCALL 2013, visit: http://www.worldcall2013.org/.